Rocking motions seem intrinsically comforting to people of all ages. Pleasant and relaxing, a swing or a gliding settee provides an ideal accessory to a porch or garden. 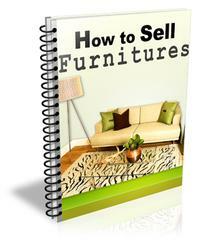 The two projects shown in this chapter also offer interesting mechanical challenges to a furniture maker. These pieces must be strong and lightweight. They must also stand up to a stress that furniture rarely has to endure— constant movement. There are several ways to achieve a rocking motion. The simplest solution is to suspend the seat with rope or chain. This requires a sturdy branch or structural member to support the swing. The glider support uses a different system to impart a swinging motion. 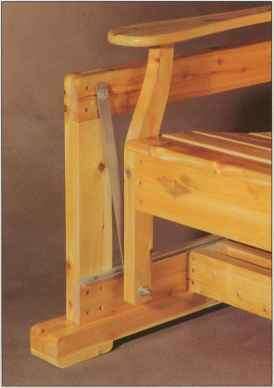 Four lengths of metal strap support the bench within a low frame. Other methods use commercially available roller bearings. It is important to buy hardware that is as corrosion-resistant as possible, especially for these pieces of furniture that are difficult to cart indoors for the winter. Stainless steel straps and screws, although more expensive than their regular steel counterparts, are strong and will not rust. Brass screws are not so strong, but offer a decorative option that is also corrosion-resistant. 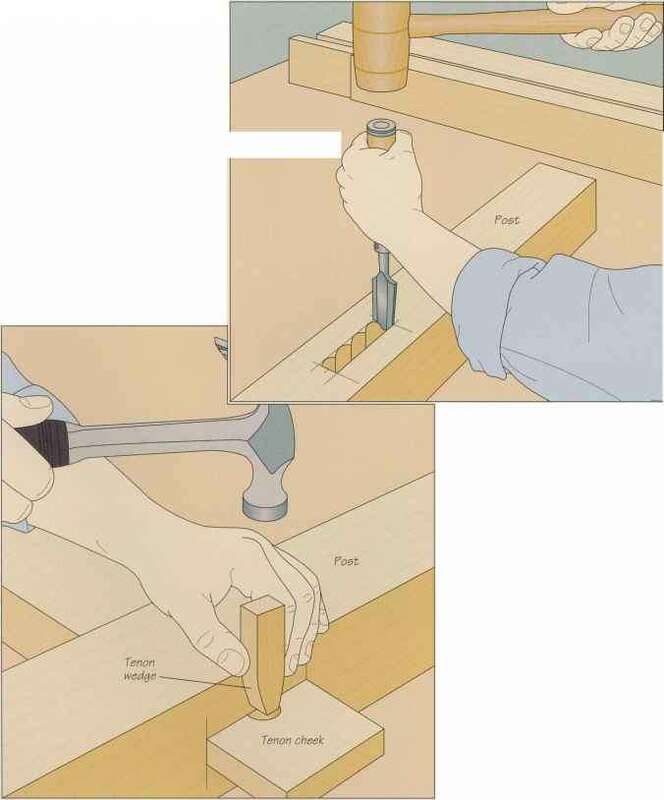 If you use brass, drive in a steel screw first to tap the hole, then remove it and install the brass screw, taking care not to overtighten or you will risk breaking off the head. The porch swing is shown beginning on page 104, while the glider frame section starts on page 112. The bench that fits this particular frame is shown in the Benches chapter starting on page 64. The comfort of the swing, and the bench used with the glider, depend upon the proper curvature of the seat and back supports. The seat should be angled slightly so the people using it will stay firmly seated when it rocks back and forth. A seat tilted toward the back also proves more comfortable for prolonged sitting. A curve in the seat back will support the lumbar region of the spine, but do not make these curves too pronounced, or the sitter will find it difficult to get in and out of the swing. The glider bench shown above swings on two metal straps mounted on each side of a support frame. The rub rail at the bottom acts as a spacer, preventing the bench from bumping against the frame as the glider rocks back and forth. Although many people choose to hang a swing on a porch, you can also suspend yours from a tree branch, as shown at left, providing a shady spot for visitors to linger and relax.